ZeptoLab, creator of Cut the Rope, announced its new multiplayer game, C.A.T.S. : Crash Arena Turbo Stars, to be released on mobile devices later this month. The free-to-play game will pit players against each other as they customize battle cars to go head-to-head in different action-filled fights. 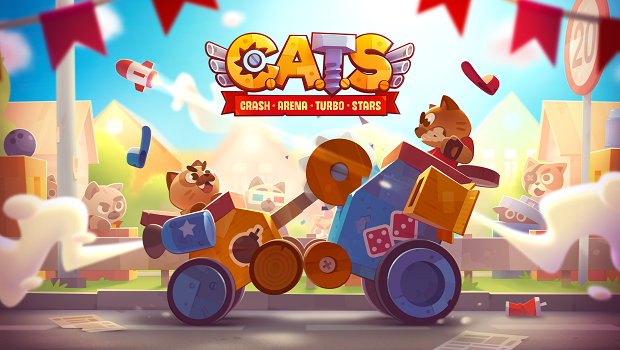 Taking the role of a street cat, players will start their journey as they upgrade their wooden car to equip an arsenal of silly yet deadly weapons and gadgets, from chainsaws to pop bottles. The main goal is to reach the Crash Arena, and that means fighting your way to the top with your car. Players can pre-register for the Android version of the game here. Stay tuned for more news on Gaming Trend.